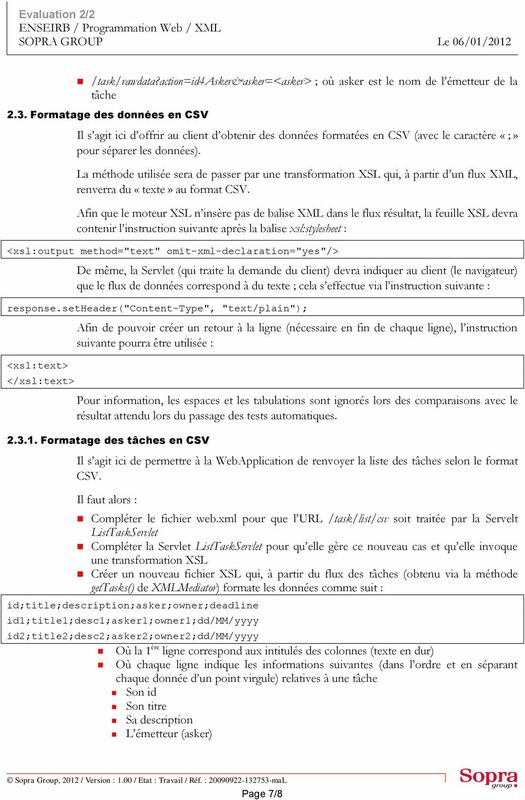 Download "Web & XML. Evaluation 2/2. 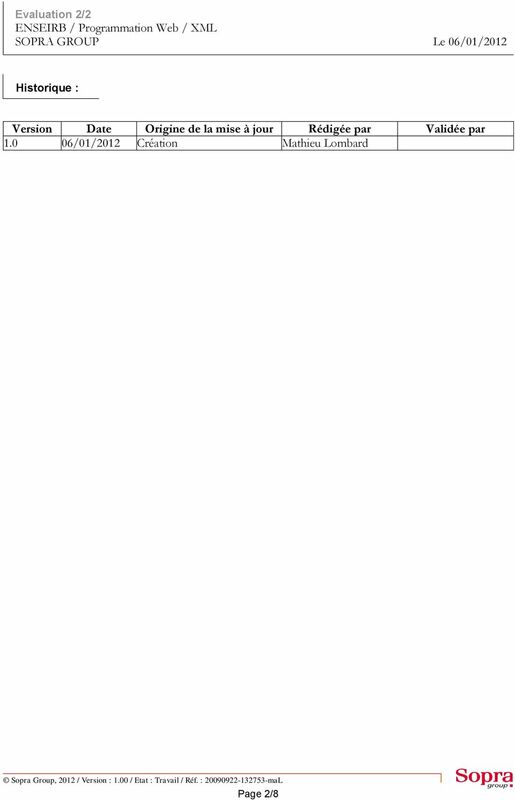 ENSEIRB Programmation Web / XML. 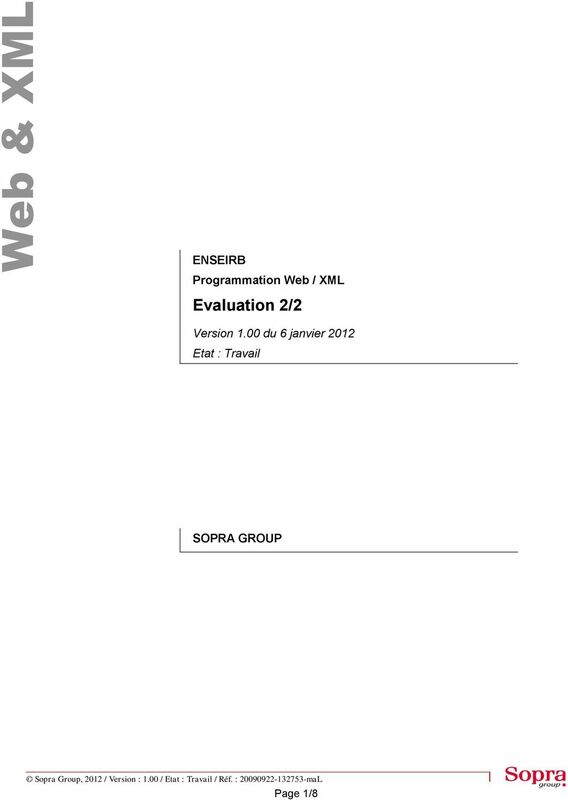 Version 1.00 du 6 janvier 2012 Etat : Travail SOPRA GROUP. 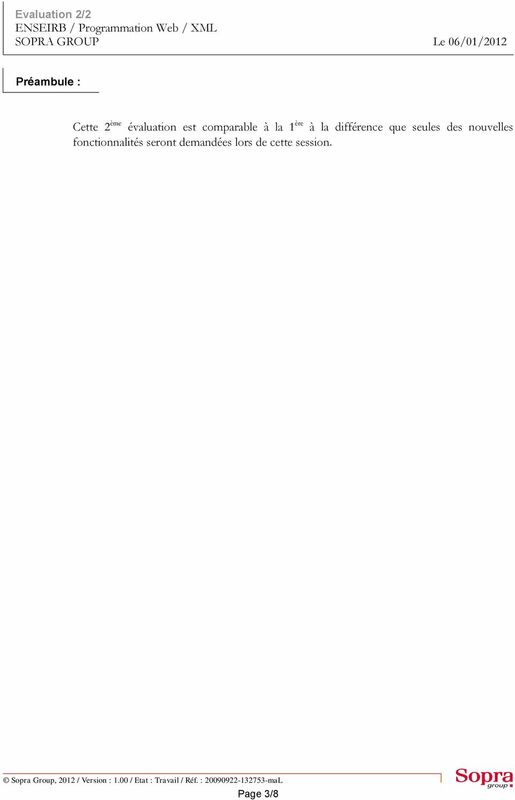 Page 1/8"